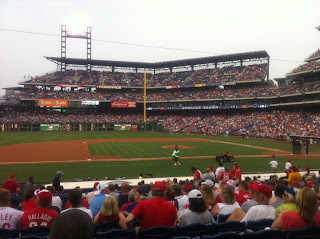 I was in Philly for work so I had to head to Citizens Bank Park for the Chicago Cubs v Philadelphia Phillies game last night. I was sitting 18 rows behind the Cubs' dugout and it was about 100-degrees. 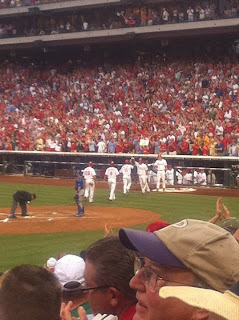 Jimmy Rollins hit a home run and the Phillies led the game 3-0. Around the 3rd or 4th inning the wind started to pick up and my "Bambi" reflexes kicked in. For some reason I decided to get up and head towards the concourse. 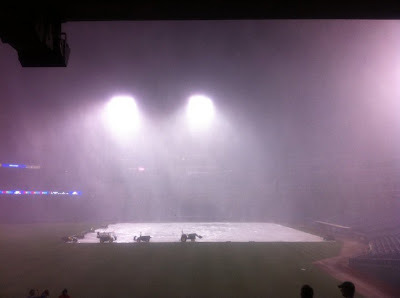 Sure enough, the wind REALLY started swirling and the field was covered. A group of girls had a sign, "The wind isn't the only thing that blows in Chicago." The clouds overhead looked ominous and then the rain came down in HARD. I'd never seen rain like that before and I was happy I hadn't been caught in it. 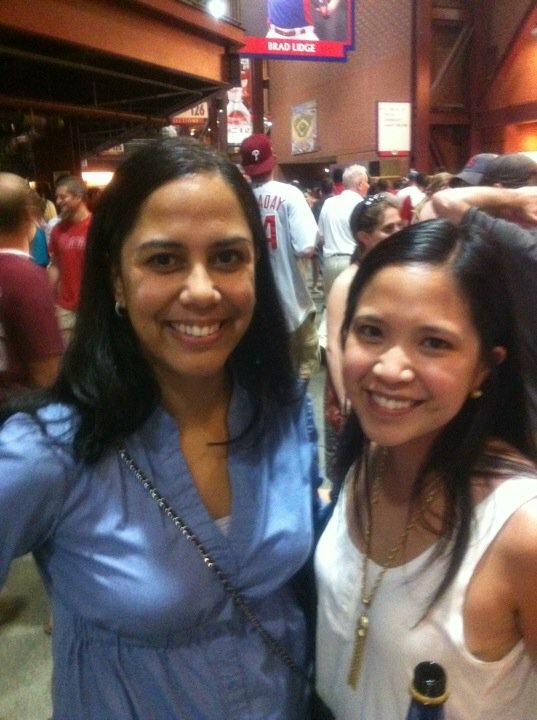 After the rain delay, I caught up with a long-time, family friend, Gaya and her co-workers. Highlight of the game: A foul ball almost caught me in the face. The man who tried to catch it (i.e. 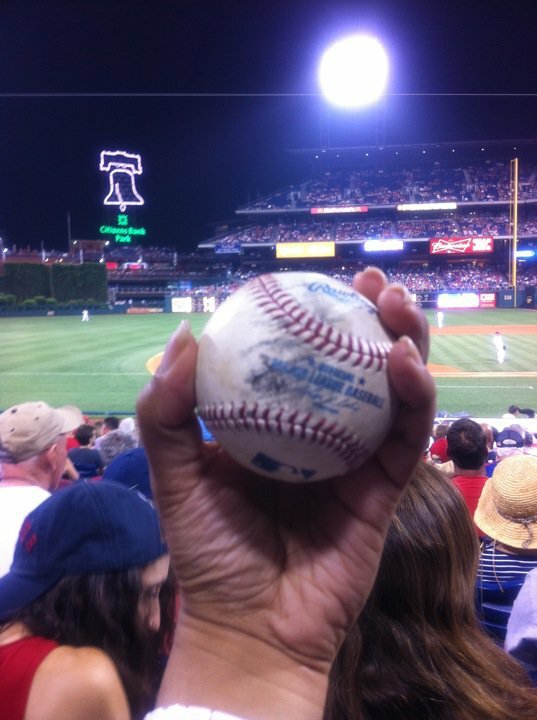 he was sitting a few rows in front of me) missed and it deflected towards my neighbor. I saw it coming and dodged the ball. I left the game in the 8th because I wanted to listen to the Miami Heat v Dallas Mavericks game. It's a good thing I didn't wait for the baseball game to end, because it went into extra innings. It took 11 innings, but the Cubs rallied in the 9th to defeat the Phillies 4-3. To be honest, I'm not sure what's going on with the Phillies ~ but every time I watch them, they lose. More on the basketball in the next post.